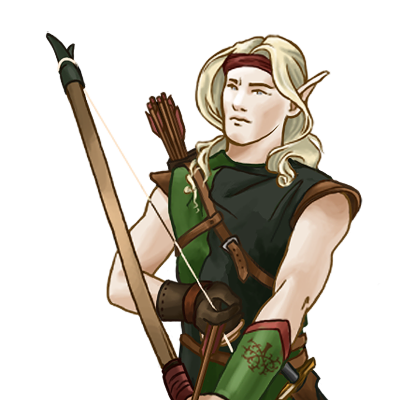 Elves are wonderously keen-sighted, a gift which contributes to their mastery of the bow. An elf practiced at archery can hit targets that a man couldn’t even see, and can nock a second arrow almost as soon as the first is let fly. Realizing this prodigious skill does come with one cost, that being a lack of practice with the sword.